First of all, thank you so much for inviting me to take part in your recent addition to your blog, Esmé! It’s an honor and delight to be here! To the questions! What is the name of your blog and how did you decide on your name? The name of my blog is simply ‘Annika Perry’s Writing Blog’. As a potential future published writer, I wanted my name to be easily recognizable and part of the title. To emphasize my particular interest, I added the ‘Writing’ element. For a while, I’d heard about blogging but was unsure what it was about or how it could be relevant to myself. Whilst completing a creative writing course my tutor encouraged me to use social media to raise my profile. Not keen on FB, I was immediately taken with the freedom of blogging – the variety of articles, stories, pictures to be shared and the wonderful interaction between bloggers. I was hooked! To date, what blogging achievement are you most proud of? The most wonderful and unexpected consequence of blogging has been the special friends made here on WP. The connection and communication between us all are what makes blogging a unique and fulfilling experience! The warmth and depth of these friendships shone out as I released my first published book. Without one request for help with promotion, bloggers were taking it upon themselves to ask me onto their blogs for interviews, guest posts, reviewing my book and the shout-out on Twitter continued so long I feared I’d become a bore! If I may, can I to add my heartfelt, sincere and warmest thanks and appreciation to everyone involved … it has meant much to me! Eclectic! Friendly! Informative! Artistic! Writerly! Photographic! Inspirational! Originality! Trying to come up with fresh lively new ideas for posts, creating newly written pieces, researching articles! Furthermore, I love stumbling across unusual, inspirational posts that stay with me for days, weeks, reading books recommended by bloggers or becoming addicted to songs shared by others. It’s probably easier to say that there isn’t any set theme, topic or genre to my blog! And therefore, none to deviate from! Of course, I share about writing and editing my first full-length novel. 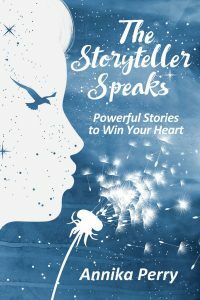 My first published book, a short story collection entitled ‘The Storyteller Speaks’, developed from the wonderful encouragement and support of other bloggers and its creation and promotion featured on my blog. Other writing matters include sharing my short stories. I also love writing travel articles, posts about art, visits to a cathedral, museums, walks. Furthermore, I’m an active member of NetGalley and enjoy sharing reviews of their and indie books. Some weeks I will take time out with an inspirational post, or one about nature…anything and everything is possible! Again, nothing is written in stone! In the beginning, I was blogging 3-4 times a week and with fewer comments to answer and fewer blogs to visit this was no problem. However, once my blog grew, with more comments and many more blogs I wanted to read, that number of posts a week became untenable. I realized it is asking a lot of followers to read so many regular posts. Nowadays I will post 1-2 times a week, fewer if away on holiday! Furthermore, circumstances in my life may occur and I will be flexible with my posting schedule as I want to do justice to mine and other blogs! Be flexible! My blog started out with the sole aim to share my journey of writing my first novel! This worked well for the first few posts but I quickly realized the readers (and I) would become bored with this single-minded take of the blog. I soon introduced other topics, interesting posts and quickly saw an exponential increase in followers and likes! Can I be honest and say I struggle with these?! I understand the concept, but they feel slightly false and are also time-consuming. Having said that, I did partake in a virtual Christmas party one year, checking in now and then whilst wrapping presents, sharing songs, recipes … on ordinary working days, I just wouldn’t have the time. What do you like to do other than blogging! Reading (LOTS! ), Writing (LOTS! ), traveling, gardening, socializing, walking, Pilates – just being! I live in a pretty village in the South East of England. There is a wonderful sense of community and we look out for each other. The village has the archetypical village green, with a cricket pavilion, a wood, lake, village hall, local shop – all within walking distance! Are you an indoor, or outdoor person? Both! I adore summer, long to be outside and feel the rejuvenating sun. I hunger for the open green spaces and the sea which refresh and nurture the soul. However, I enjoy the cozy snug atmosphere of inside during winter evenings … taking time to do nothing but read and relax, hot chocolate to hand! After university, I worked in journalism as I had a passion for current affairs and I was advised this was the best way to fulfill my ambition to be a writer. Later I worked for many years for a timber agency, which involved lots of interesting travels abroad as well as meeting people from all walks for life! Recently I have had the chance to pursue my dream of writing full-time and it felt amazing to publish my first book in December last year. I’m loving the age I am! So much happier, well, settled. In my mid-to-late 20s, I had a serious illness which was frightening, debilitating and changed my life. It was tough to be ill for so long, seeing my friends stride forth in life whilst I was unable to follow suit – although I’ve more than caught up! It never fails to lift my spirits if I see those I love themselves happy and smiling. Also, if my writing is going well, my heart sings with joy. This is an impossible question … we are all complex beings with so many characteristics! Share with us 3 interesting facts about yourself? – I love organizing! Anything – family events, finances, purchases! It must have started young as at only four-years-old, I organized the Great Escape from my nursery playground to the woods nearby … the kind helpful assistant found us soon afterwards! – I can be very stubborn … but have learned to be more skilled and deft in handling this! – I once read a Chekhov book – in the original Russian! I can barely remember a word of the language nowadays. I’m partial to a bit of Greek or Scottish dancing … there’s no party quite like a good rollicking ceilidh. Esmé, thank you so much for having me on your blog and it’s been a joy to answer your searching questions! I know you want to do the 20 + 1 Interview Questions. I look forward to hearing from you! Annika is a fabulous writer. I have particularly liked reading her book as well as her vacation posts. Hi Bernadette, Thank you for visiting and leaving a note. Hope you’re doing well and yes I am wondering if you would like to do the Interview as well. You have so much to offer from Haddon musings. What do you think? I love Greek and Scottish dancing too! Hi Rachel – good to see you here. I have 3 feet when it comes to dancing! Yeah!! 😀😀 Alas, there isn’t much opportunity for either where I live now. I joined a Scottish dancing group with a friend in the nearest town and it was dire … everyone so miserable and serious. The ‘leader’ had one poor lady in tears with his screaming -my memories will have to suffice until my what visit to Scotland! Thank you for a lovely positive interview. I love Annika’s posts and I see the care she takes in commenting on fellow bloggers posts. and it means so much to me! Oh yes, the Great Escape incident is now folklore amongst the family! Hi Annika – Thank you for being part of this series. 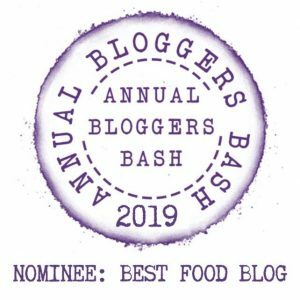 I just love it and feel I now know each blogger a little better and wish to thank you for taking the time to answer and sharing your stories here. What a lovely interview with Annika. I enjoyed learning all this new information about her. I like reading about why people blog and what motivates them to keep blogging. Robbie, I am just the same … the sign of a great interview is if they ask the questions you’d like answers to! Esmé does this perfectly with these interviews! It’s interesting how it is often not the same answer to the questions why we start a blog and why we continue with one! Wonderful interview Annika and Esme! Hi Staci – Thanks for popping in. Yes, may I ask if you would be interested to also do an interview here??? Fantastic interview! I met Annika in blogosphere and love her for her warmth that she dispenses through her words. It is nice to know more about her. Thank you Esme for interesting questions. Thanks for coming over Balroop and your nice comment. Would you be interested to be part and also be featured here in an Interview?? Thank you so much – it is a great place to live and even as quite young my son was walking safely to school on his own. A village fete today which lasts all day and ends with dancing – lovely and lots of fun! I’ll admit to having only recently found Annika’s blog – through the Senior Salon, which proves how well that works! I really enjoy her writing and her recent post on the LV18 Museum in Harwich brought back so many memories for me. Many thanks for this interview, this is such a good series! So lovely to meet you too, Clive and I’ve enjoyed your memories that you shared on my LV18 posts. This blogging lark not only brings people together across the world but also across time and memories … enjoyable and rewarding! Thank you so much for your kind comment. having learnt Russian, loving Scottish and Greek dancing. Her views on blogging are also well thought through and sound very workable to me. Altogether a warm and life embracing interview. Hi Miriam – thank you so much for coming over and visiting and learning more about Annika. Will you honor us and do an interview here then we can learn more about you as well?? Thank yu Esme, I just saw your ur kind invitations to an interview. poems. So no book ….as yet. I am honoured and would do my best to answer your questions. Let us discuss the time frame you have in mind. September and on would be o.k. wigh me. Miriam, thank you so much for your wonderful comment and it’s always a joy and honour to read your thoughts! I am so glad you enjoyed learning a bit more about me. I do miss the dancing, even more since doing the interview with Esmé! Oh, it was fun to learn Russian – up to A-level standard in a year with at least six hours Russian a day on top of German and Management lectures etc! Only a handful of words are retained alas but I do remember the alphabet! A great interview with Annika! The little village sounds adorable and a perfect place to write!! Darlene, is a lovely place to live and I have my own study overlooking the garden … in the summer I enjoy glimpsing the top of the budlehia trees and all year round I love looking at a flock of white doves that visit regularly… just some of my distractions! Wow that must be awesome. A lovely interviews, ladies. It’s always nice to learn more about others we connect with. Annika, the village where you live sounds positively idyllic and picturesque! Hi Mae, Thanks for popping in again. I think we all agree with the idyllic place of Annika. Mae, I agree, it’s interesting to learn about each other through interviews like this. The village was one I’ve always wanted to live in since moving to the South East – and I couldn’t believe our luck when finding the house – near to the wood! Heavenly! It meant buying a house we had to totally redecorate etc but have loved doing all the work and making it our own! Hi Jill, Now you’re taking. All of you lovely writers have a week writing retreat with Annika. And also, I would like to hear from you if interested to do the Interview. Drop me an email then we can discuss it further. I think you both might be on to something – a retreat in the village would be fantastic!! Or even better, in Sweden … an idea that has been playing in my mind… Jill, thank you so much for reading and your lovely comment – it was a great interview with a perfect balance of the blogging and personal questions. Annika, I think you should get many writers that would love to have a retreat with you!! Great interview. I’m new to Annika’s blog and enjoyed getting to know her better. Hi Evelyn, thank you for popping in – Glad to meet you. In order for us to get to know you better how about you also participate and do an interview with us? Please let me know, as I would love to have you on board here as well. I love this open, honest interview, Annika. Now, I feel as if I know you better. What a beautiful soul you are. Thank you for hosting, Esmesalon! Jan, your lovely commetn makes my heart sing…thank you so much!❤️ I don’t know any way to be but honest and it’s a joy to get to know each other better through interviews such as these. 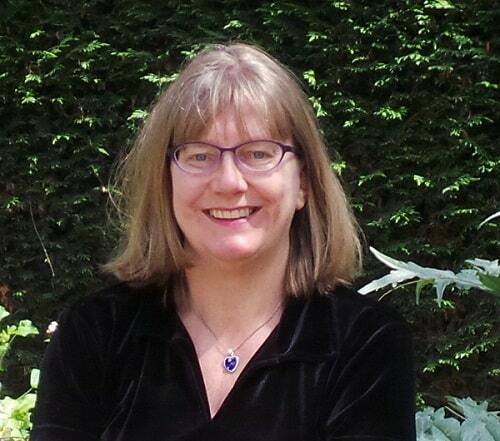 Hi Jan – what an impressive blog and really interesting posts. Firstly, thank you for visiting my humble blog and leaving a comment here on Annika’s Interview. WOW – I will be honored and would love you to share with us a bit of your blogging and stories through an Interview. Please let me know if you would be interested. Thanks Bette, Have I asked you as yet, if not, would you be interested to also do the Interview? Thank you so much, Bette! 🌺. Wishing you both a lovely weekend … the weeks seem to swish past! Wonderful interview, Annika and Esme.. I could relate to the need to reduce the number of posts per week. It’s really hard to keep up otherwise. I’m glad I’m not the only one who’s had to cut back. And I had to read your answer to #1 three times. I thought it said, “Reading (LOTS! ), Writing (LOTS! ), traveling, gardening, socializing, walking, PIRATES.” Ha ha ha. Diana – Thanks for stopping by and yes cutting back on posts per week, seems something that we all do. Diana, now I’m chuckling at your comment! 😀😀 I like the idea of pIrates instead of Pilates … particularly the mad game played in special occasions for PE Lessons – charging full speed around the sports hall, clattering over the equipment, being chased by the Pirates and out if touched or if touching the floor! That was fun! Oh well, Pilates seems rather sedate in comparison! Love this interview with Annika. It’s so interesting to learn how you’ve developed your skills as a blogger and writer. One feeds the other but they are two very different approaches to writing. I also quickly discovered how writing about only one book was way too small a sphere of interest for a blog. It’s very hopeful learning how supportive the online community has been for your work. Great interview, Esme. You drew the best out of Annika. Hi Sharon. Thank you and welcome here. So glad to meet you. I would love to get to know you better so am hoping that you will agree to also participate with an Interview. Please let me know and I will be happy to feature you and learn more about you. I look forward to your response. Sharon, thank you so much for your lovely comment and your last sentence indeed gives rightful praise to the interviewer – Esme’s questions and style were superb and a lovely approach to discuss the personal as well as bout the blog. Writing fiction and writing posts/comments is a huge difference but I agree, doing both has improved my writing all round. Like any craft it improves with usage and in the beginning I was very cautious writing comments, overthinking my sentences – my confidence and flow has developed massively. What a great interview, Annika. So nice to see you featured on Esme’s Salon! It’s nice to learn more about you. I hope you are working on more short fiction – I look forward to that! It’s also nice to know that there is someone else out there who is stubborn ;). Sometimes my family and I “argue” about who is the most stubborn. I’m right up there but I have many close contenders! Happy reading and writing and thank you, Esme, for posting this interview! A big thank you for visiting here and sharing your thoughts. I think all of us can be stubborn from time to time! Please do not be stubborn, and allow me to do an interview with you as well. What do you think? Barbara, I’m smiling at your family discussions on who is the most stubborn – this sounds very familiar! A bit doesn’t harm, I reckon and is really resilience … isn’t it?! I am sketching out short story ideas – something I wasn’t intending to do but can’t stop myself. I’ll see if they become any good…a typical writers insecurity comment! I saw Esme’s invitation for you to do an interview with her – I’d love to read your answers and learn a lot more about you. Hope you have a chance. You are so wonderfully diverse, Annika. So many things you named are like me, and then others, not-so-much. Can’t imagine me doing a Scottish dance. 😉 I love the sound of the cozy village where you live. Regarding blogging, I agree 100% on your number 3. I love the points you make there. Your number 9 is a great point. I did find that once I became more flexible with blogging, it went much smoother. Thanks for sharing more of yourself. Have a lovely weekend. Lori, I think being a virgo makes me want to plan and schedule my life in advance and when I started blogging I had this timetable for posts etc. Which only worked for a month or two…flexibility made all the difference and took away the self-induced stress. I’m glad you found this approach has made blogging smoother for you too. Ahh…I like the sound of being diverse and would never have thought of myself in that way – thank you! The Scottish Dancing is brilliant, slightly mad and I literally have gone spinning off the floor!! 😀 I loved it but alas it seems you really need to be in Scotland – I’ve tried other groups in England and it’s been flat to say the least! Hi Lori. Thank you so much for your visit and comment here on this awesome Interview with Annika. I visited your blog as well and love what I found there and would like to know if you may be interested to share it with us here in an Interview. Please let me know, as I will love to have you here. Wonderful interview, Esme and Annika! Although I’ve followed Annika for awhile now, it was interesting to learn more about her and how her blogging adventure began. I was saddened to read how ill she was in her twenties, but am so glad she’s healthy now and thriving in the beauty of life, all that it offers, and in writing. I look forward to her second collection of short stories, too. Magic is found in her writing no matter what form; even her comments are magical! Congrats to you both! Lauren, my heart is smiling at your wonderful comment — thank you so much! ❤️💐 I honestly love reading blog posts and writing comments and following the ensuing discussions … it means a lot to me. It was incredibly hard to be so ill just as I was setting out in life … but with hindsight I realise it must have been even worse for my mother, her worry and concern over me, trying to help and trying to get help! All well and happy now; it’s just nearly impossible rationalising everything at the time. Hi Lauren. Thank you for taking time out before your trip to leave a comment. Hope you enjoy the fresh mountain air and come back refreshed. and ready for some more blogging. Please, will you consider to be part and share your blogging stories and some of you here in an Interview with us. I look forward hearing from you upon your return. Wonderful interview, Esme! Some of your views on blogging, Annika, are quite similar to mine. And I enjoyed to read about your personal side as well. I could see, with a smile, you organizing the outing from the nursery to the big, dark woods. Tiny, I particularly enjoyed both the blogging and personal elements to Esme’s interview – we are all so much more than our websites! I am not surprised that our approaches to blogging are similar and glad to give a smile about my nursery adventures! I was quite old before I grew out of my tom-boy years and would actually willingly be in a dress or skirt! It was really interesting to read about not only how and why you started blogging Annika, but also some unexpected facts like your penchant for folk dancing! Hi there Andrea. Thanks for popping over. I just did that and visited your blog. ❤️ It. May I ask if you would like to participate as well. I Like to read about why other bloggers blog and what others do when they aren’t blogging so I really enjoyed these questions and answers. I enjoy Annika’s blog because somehow you do feel you are reading an authentic persons blog – and the little gems of extra-curricula informaiton just add more interest and depth to the blog-character of Annika Perry. Tea by Leaf – sorry, I am unable to connect to your blog, to get your name.. Thanks for leaving a comment and visiting here. As I am unable to connect, I am ever more so interested to learn more about you and your blogging., so how about you let me know if you would be interested to participate in an Interview. I look forward to hearing from you as you have truly peaked my interest. What a wonderful interview with Annika. I love her positive uplifting posts and always know I’m in for a treat when I visit her blog. Lovely to find out even more about her here. You’re right, Annika- it went swiftly past. 🙂 🙂 I love the joy in life you share so freely, and how happy you are in the here and now. .
HI Jo – Thank you for dropping in and reading Annika’s Interview. What do I have to do to read your Interview? Would you be interested?? What a wonderful interview, Annika! I love getting to know more about my blogging friends! Your bright personality shines through. I’m with you on the reading (LOTS) and writing (LOTS–except for the every-so-often slog that slows me down) and gardening (veggies only, please 😀 ) Have a great week! Julie, we’d compliment each other perfectly in the garden – nowadays flowers, bushes etc only. This year I’ve totally given up trying to grow veggies – it was always with varying success and I used to feel so low pulling up dud potatoes, ruined carrots! Considering the current heatwave I’m glad I didn’t attempt anything as it’s a struggle keeping the flowers alive! Now, your veggies always look delicious and ready to present in a show! Thank you so much for your kind comment and it’s impossible to read too much and a joy to write — most of the time! With you on the occasional slog! Great interview, Anica. it was great getting to know the person behind the blogger. Stay shining. Hi Jina – great to see you here again. Hope you’re doing well and thanks for your visit. Warmest thanks, Jina … I’ll try to keep shining and so kind of you! 😀 I’m so happy you enjoyed learning a bit more about me besides blogging. Wishing you a greart week. and hmmm, Annika, sorry about the mispelled name. screen readers get confusing at times. and Annika, sorry about the mispelled name. screen readers get confusing at times. Jina, no problem at all … I totally understand and actually thought that was a sweet spelling of my name. Dear Janice – thank you so much for dropping in and leaving a comment. Janice, I have to ask, would you be interested to also participate and share a bit of your blogging and story with us? Thank you for popping over Michael. Glad to meet you here. Would you perhaps be interested to do an interview and also be featured here? Thank you so much, Michael! A joy to be here and lots of interesting questions! Hi Jennifer, good to meet you and hope to learn more about you. Would you be i terested to do an Interview here with us. Please let me know and consider it done. Hi Jennifer, What good news to receive after being away for the weekend and just turned on my PC. Please drop me an email via https://esmesalon.com/who-what-where-and-why/ and then we can chat further and get it set up. This is awesome, looking forward to your email.